Description: Another cat in a handbag painting. 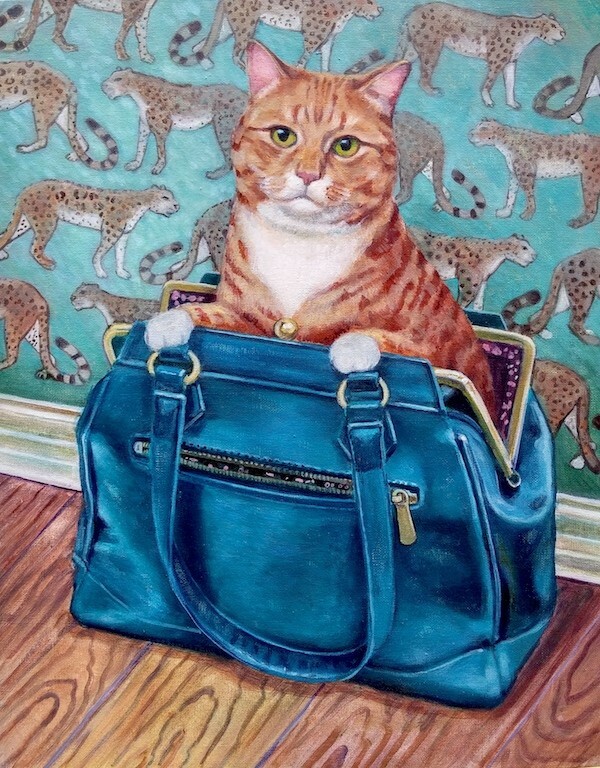 This one features a ginger cat sat ib a blue teal handbag, Would make an ideal gift for the mad cat person in your life. Victoria Stanway is a contemporary artist based in England. Her main practice is focused on the landscape. From cubist townscapes to surreal dreamscapes. Her work has been acquired by private collectors not only from the UK, but Europe, USA, and ASIA. She is currently working on several private commissions, and plans to complete a new body of work for exhibition and sale later in the year.